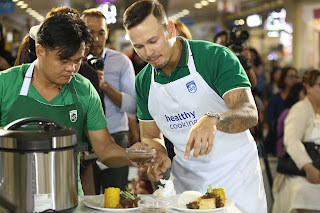 Manila, Philippines - Being able to cook tasty yet healthy food, in a limited amount of time, is an essential part of a happy lifestyle. However it can be difficult, and time consuming, to find cooking methods that are low in fat, and also produce great-tasting results. 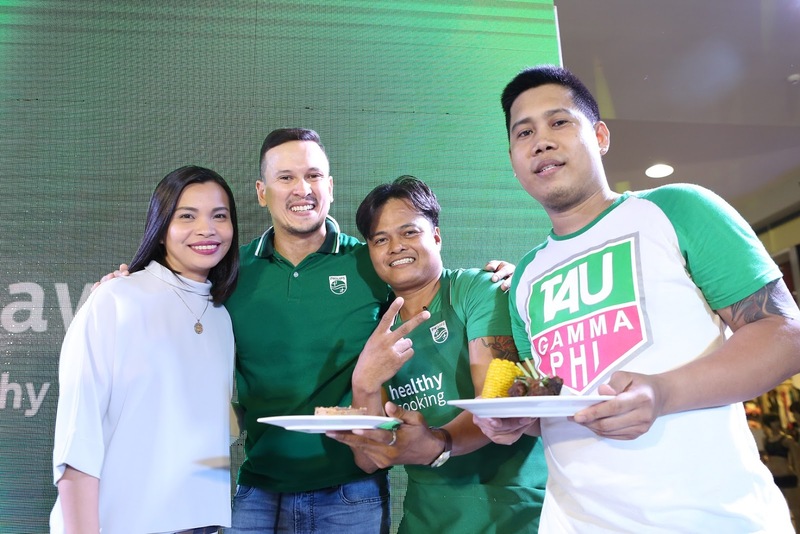 In today’s urban landscape, most people are so involved in their hectic schedules that they fail to maintain a balanced lifestyle and studies reveal that Filipinos are increasingly becoming more conscious of staying healthy. Philips, a global leader in kitchen appliances, strives to make the world healthier and more sustainable through innovation. 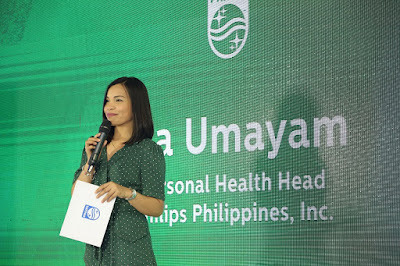 With its long history, Philips understands the needs and desires of consumers and has a strong heritage of delivering innovation that improves lives - to people, to homes and families. As the brand reaffirms and strengthens its advocacy in motivating Filipinos from all ages and all walks of life to make healthier choice, Philips kicks off its #NothingBeatsHealthyEats Caravan to encourage Filipinos to adopt a healthier lifestyle. Together with celebrity mommy, Bettina Carlos; celebrity chef, Martin Jickain; and restaurateur Chef Edward joined forces to put together a healthy spin on a menu of Filipino favorites in Batangas. 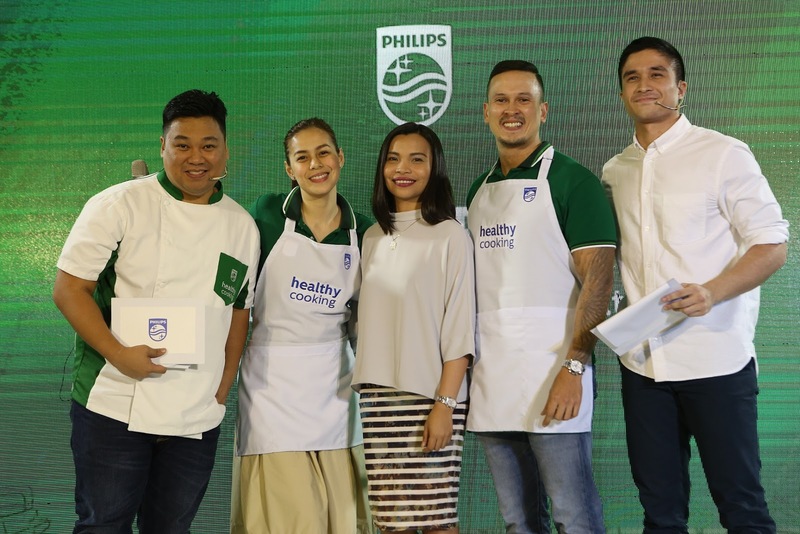 Philips, as a company who understands the hearts and minds of home cooks across generations, share its latest healthy kitchen solutions. The revolutionary Airfryer took the world of home cooking by storm in 2011, bringing consumer oil-less fried food. With its unique Rapid Air technology it enables you to fry, bake, roast and grill the tastiest snacks and meals with less fat than a conventional fryer, by using little or no oil! Philips Airfryer with Rapid Air technology also creates less smell than conventional fryers, it is easy to clean, safe and economical for your daily use! 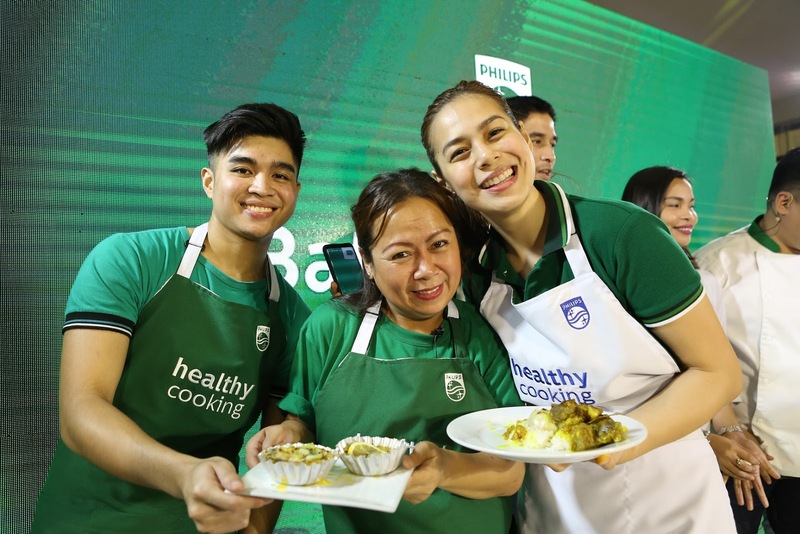 Philips is introducing a new range of rice cookers that are especially designed to give busy moms a convenient, reliable way to whip up great-tasting rice every time. It features a unique five-layer inner pot that is non-stick for easy cleaning and anti-scratch for enhanced durability, this rice cooker promises a longer lifespan. Tasty rice makes the whole meal more enjoyable and the way of cooking plays an important role. With intelligent cooking system, you can slow cook, pressure cook and multi cook all in the one machine. Its aluminum alloy inner pot is durable and offers more effective heat conduction. It’s easy to program timer indicates the cooking progress. This Philips blender can handle just about anything - from fruits and vegetables to ice. Its multi-speed function will blend, crush and cut for perfectly smooth blending and any consistency you want. Create your own noodles using Philips Avance Noodle Maker. Its 360-degree extrusion technology allows you to enjoy fresh and tasty noodle in just 10 minutes. You can create all kinds of flavors by adding various ingredients like eggs or vegetable juice.